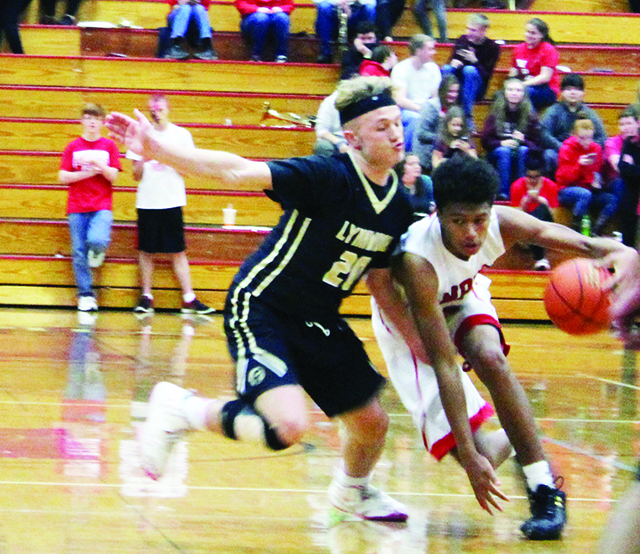 When RaeQuan Battle was in the third grade he was recruited by Cyrus “Bubba” Hatch to play in a basketball tournament at Lummi. 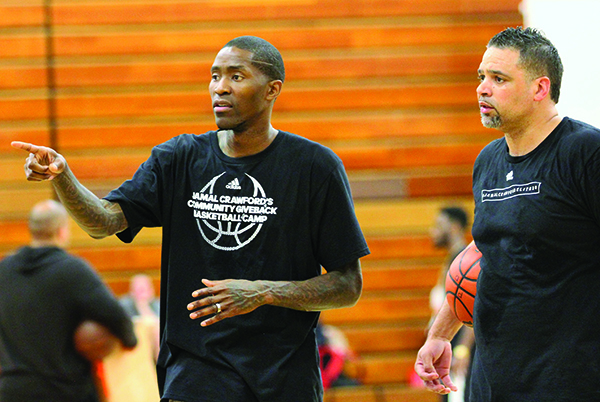 At the time, young RaeQuan hadn’t really given basketball much thought, because his favorite sport was football. 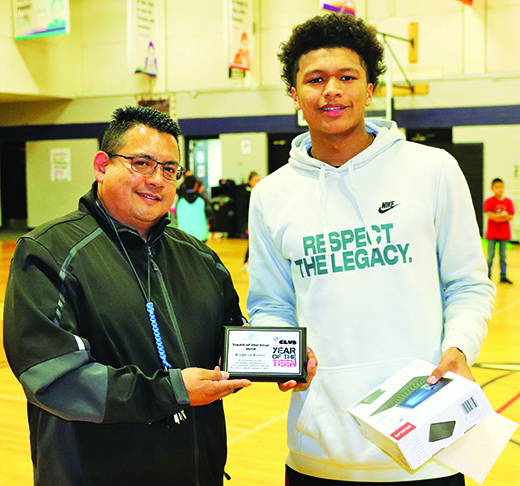 RaeQuan accepted the invitation and not only did his team win the championship, but he was presented with the Most Valuable Player award, resulting in a new love for the game. 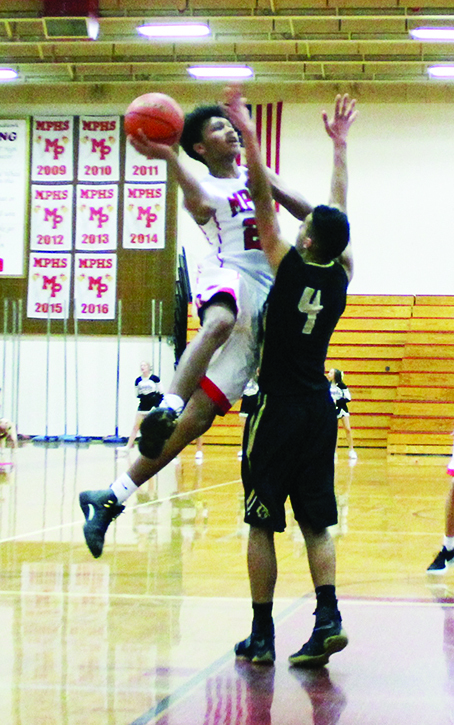 Now a sophomore at Marysville Pilchuck High School (MP), Battle devotes the majority of his time to perfecting his basketball skills and focusing on his grades. 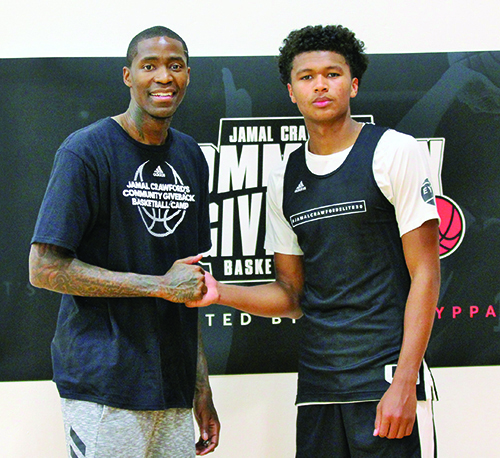 He advises young hoopers to put down their smart phones and pay attention during class because at the young age of fifteen, he is aware of the opportunities a good education can offer. Family is indeed of great importance to him, citing his grandfather, Hank Williams, as his biggest inspiration. Every time Battle suits up for a game, he puts on a jersey with the number twenty-one on display. He chose twenty-one because it is his mother’s favorite number. A few of his relatives also wore that number when playing for MP. 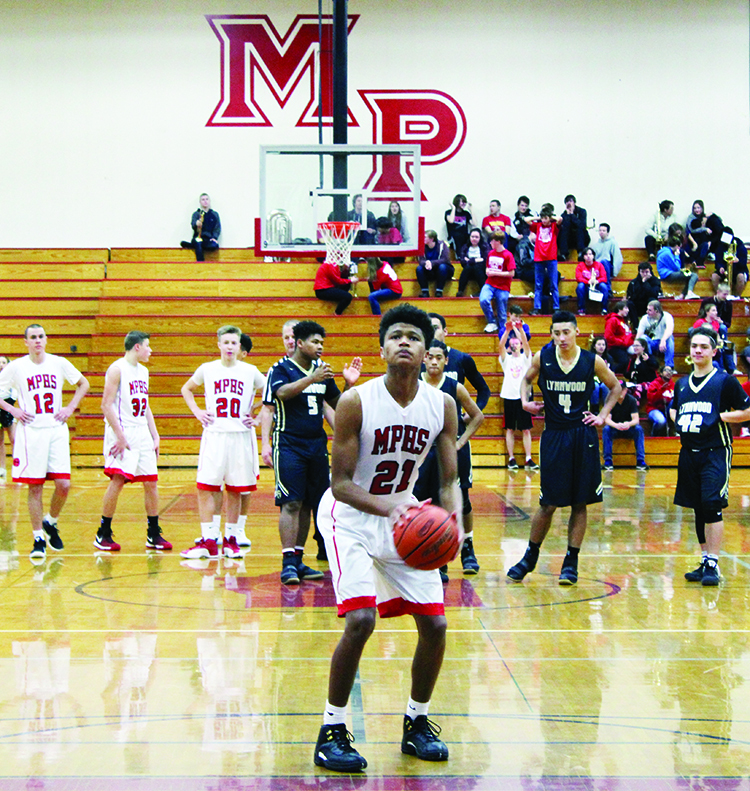 The basketball season for MP recently concluded with an appearance in the playoffs as RaeQuan’s squad battled for a shot at State. 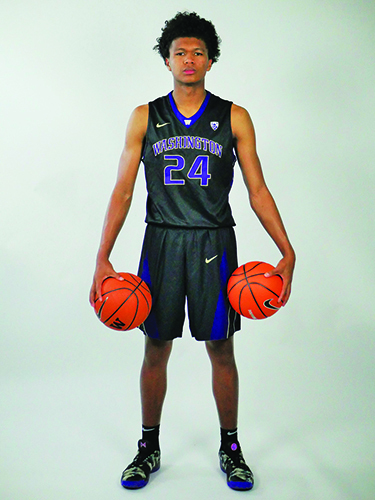 Standing at six-foot, four-inches Battle towers over most of his teammates as well as the competition. 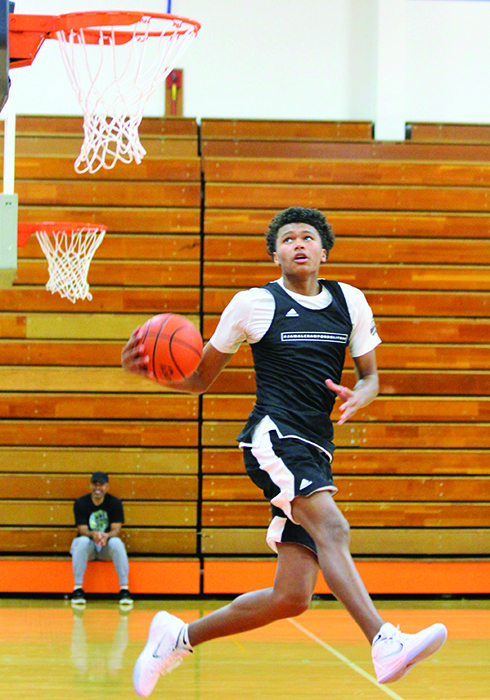 He is effective on both ends of the floor often getting buckets and grabbing boards. His favorite position to play is small forward, a position that is played by NBA stars such as Kevin Durant and Lebron James. 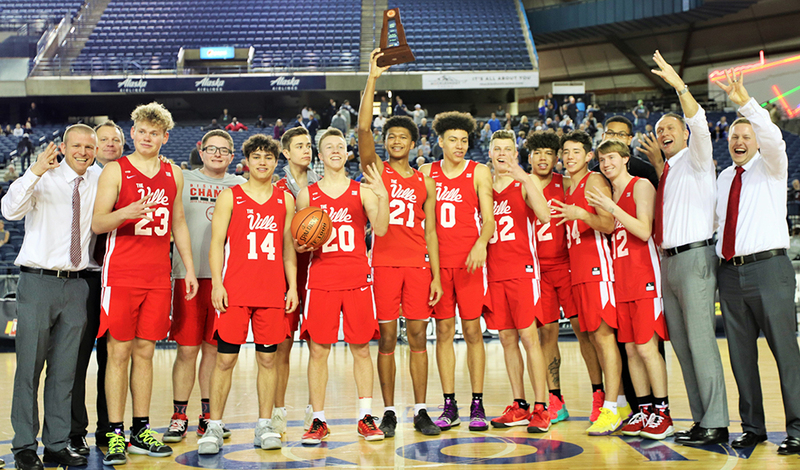 His height advantage, paired with his skill, gives him the versatility to play any spot on the floor, and MP utilized him in every position throughout their season. 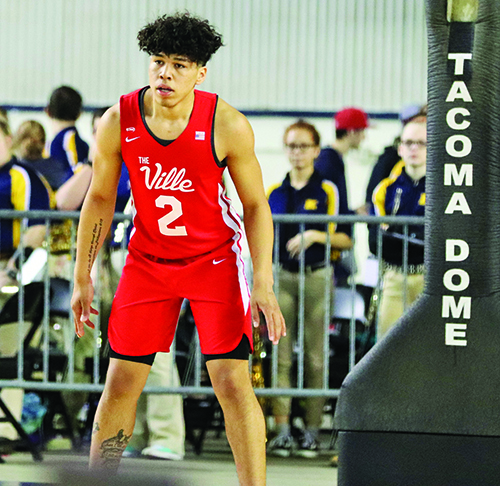 Battle states that basketball has given him a strong work ethic and has taught him many valuable lessons that he can apply on and off the court. “The biggest thing I’ve learned is how to stay humble. When I first started playing I used to get benched because I didn’t have the right attitude. If you want to improve your game or get anything productive accomplished, you have to remain humble and focused,” he states. 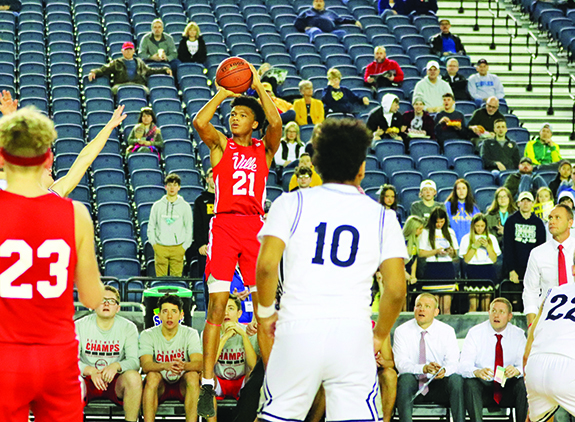 Now that the basketball season is over RaeQuan will participate in some extra-curricular activities including driver’s education and track, but the majority of his time will be spent studying. 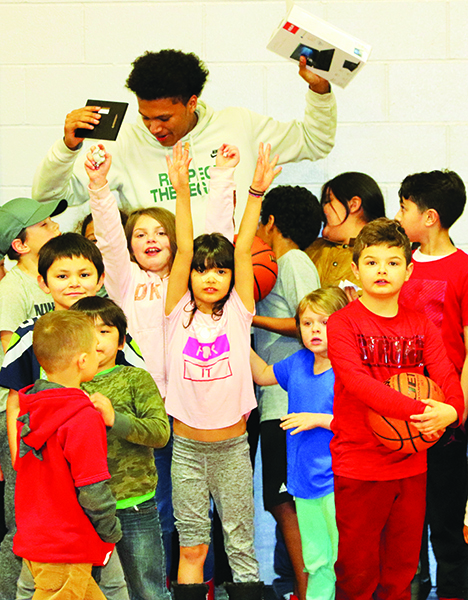 However, he vows to continue to get in the gym and work on his game during the off-season as he continues to follow his dream of playing in the NBA.